Keeping one or more fire extinguishers in the home is inevitable. You can put out a fire in initial stage within a few seconds, but without it the whole house could burn down in minutes. 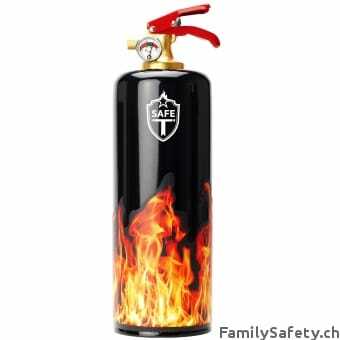 The Safe-T extinguishers are suitable for putting out starting fires at home. In addition an extinguisher fitting to your home design or your taste you will surely place on a central and visible location in your apartment to be exposed for your pleasure.